Have you ever even heard of Cap'N Taco? It is this teeny little Mexican place on Brookpark Road. Apparently "R's" dad used to take him there for dinner after his bowling league, and the image of a California burrito has been ingrained in his memory. We were randomly in the area one night, and needed a quick and cheap bite to eat. On memory alone, from over 20 years ago, he found it. There was plenty of parking in the small lot in front of the building. When you enter, there is a large counter to place take-out orders, or you can choose to sit in the small dining room off to the right. Not very far from the airport, the interior is decorated from floor to ceiling in photographs and memorabilia of planes. There were only eight tables in the dining room, and three were occupied. My bet is that most of their business is carry-out. There were quite a lot of options on the menu, but of course "R" had to have the California Burrito. You had your choice of beef, chicken, or crab, and the price of each ranged from $2.99 - $3.99. Incredibly cheap. It was light and crispy, and probably the best thing that we tried, but it didn't live up to "R's" memory of them. It was also the most expensive thing that we ordered. Dining Deals Alert! I also ordered a Cheese Enchilada. I'm convinced that it was a microwaved enchilada. It arrived in what appeared to be a pre-packaged container that probably had a plastic film on it to start. It was mushy and flavorless, with an odd texture to the tortilla that could only come from a microwave. The only thing that really saved this meal were the three house-made sauces. For 50 or 60 cents each, you had a choice of Jet (hot), Nitro (spicy Ranch), and Firecracker (hot, hot, hot). Also, notice the packets of salsa that were served with our meal. Sigh. "R" also ordered some tacos, which were hard shell only and 79 cents each. For an additional 30 cents, you could upgrade them to "elite" with more toppings. They offer draft beer (Bud Light and Yuengling only), and Margaritas. Served in red solo cups. All food and beverage is served in paper or plastic, which I actually kind of enjoyed. In a setting like this dive Mexican joint, it was perfect. ...oh wait, there's prime rib for dinner tonight! Thank you for helping me celebrate blog post #500! A mini-milestone, but worth noting. 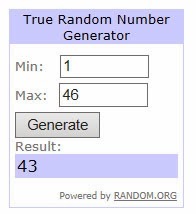 Using random.org, the winner is...comment #43, Beth. Check your email to claim your prize. Now, let's talk about how to ring in the new year in Cleveland. There are a lot of things going on, so this is just a small sampling. Pura Vida: New Year's Eve Party. Public Square festivities are close by, and it will include live ice sculpting, musical performances and fireworks! Make your reservations for dinner from 4PM to 10PM. The New Year’s Eve house party kicks off at 10PM, featuring appetizers, an open bar, DJ, and a champagne toast at midnight, followed by a breakfast buffet at 1AM. Reserve your ticket for $100 with a dinner reservation or $125 just to party. VIP options are also available. Exclusive seating for up to six people includes bottle service, a personal host, appetizers, and after-midnight dishes for $1200. Or, make your plans for 10 people with the Ten Top VIP package, which includes all previously mentioned VIP features, plus a premier VIP area with seating up to 10 for $2000. Make your reservations today by emailing Katie@PuraVidabyBrandt.com. Society Lounge: New Year's Eve Party. Live Music, Champagne Toast, Limited Capacity Event. VIP tickets available for $50 each prior to December 25th, or $75 each after December 25th. Guaranteed own table and seating (9PM-1AM), bottle of sparkling champagne (1 bottle per two tickets). Guaranteed Access Tickets are $20 per person, and must be purchased before December 25th. Access to lounge from 9PM until close. Call 216-781-9059 for tickets. Lago: Greatest Gatsby New Years Eve. Open bar, live music, all-night food buffet, with a touch of old Hollywood glam. $125 admission per person, or $200 per couple. 7PM - 2AM. Make your online reservations here. Greenhouse Tavern: New Years Eve. $99 each for 10+ courses. Reservations open between 5PM - 9:45PM. Optional beverage pairings. Champagne toast. Tax and gratuity not included. Call 216-443-0511 for reservations. Also, there are a whole slew of Cleveland Independents' member restaurants that are hosting special dinners and other events that evening. Check out the list. Disclosure: Nothing to disclose. I purchased the gift certificate to Cork & Cleaver featured in my giveaway, and I chose to highlight the above events. I've probably driven by Charlie's Dog House Diner at least 1,000 times. Located on the corner of Brookpark Road and Broadview Road in Cleveland (headed into Parma), the exterior of Charlie's can't be missed. It literally resembles a dog house, perched on the corner and just beckoning you in. I think what kept us away for so long is the fact that it is teeny tiny, with very little seating. There are only one or two small tables, and the rest is counter seating. We happen to hit it at an odd time on Saturday for breakfast, so we easily found a spot at the counter. Now, I thought that they would only have your basic breakfast offerings, but I was wrong. The menu was actually pretty lengthy, including dishes like burritos, corned beef hash, eggs Benedict, biscuits and gravy, several omelets, and then specials like three different skillets and a country fried steak. I was immediately impressed at what was coming out of the small kitchen. I decided on the Ashlee Burrito with eggs, home fries, bacon, sausage, and cheddar cheese stuffed into a flour tortilla and smothered with sausage gravy ($6.99). Dining Deals Alert! The picture doesn't do this burrito justice, it was HUGE. I barely ate half of it. I spiced up the sausage gravy with some hot sauce, and then it was quite tasty. I'd order it again. Rick also enjoyed his skillet. The diner has been around since the 1950's, and it's a Cleveland landmark. It holds on to that nostalgic feel, and you can still get their famous hot dogs. Open seven days a week, and free parking in a large lot, this is a great place to stop in for a quick breakfast or lunch. Today is a good day in my blog world. This post is #500. When I started this little ole blog in 2009, I had no idea what I was getting myself into. It was just started as an outlet for my passion for writing, and I was enjoying exploring the new city that I had started to call "home." I wanted to share my dining experiences beyond the in-person conversations that I was constantly having with friends, family, and co-workers about our restaurant scene, not knowing if anyone would really be reading or not. Well, almost five years later, I'm still here and so are you. Let's celebrate! In celebration of blog post #500, I'm giving away a $25 gift certificate to Cork & Cleaver. 1. 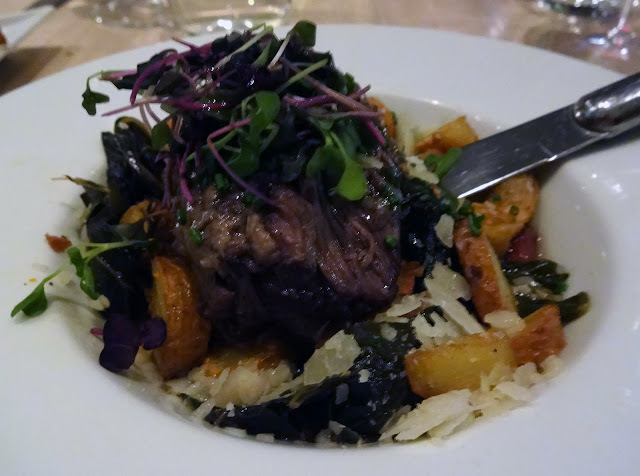 Leave a comment on this blog post, suggesting a restaurant for my 2014 To Dine Challenge. I'm looking for restaurants that I haven't been to yet, that you want to see me visit in the next year. I'll select 10, and announce them on January 1st as my New Year's Resolution, of sorts. 2. Tweet: "I want @BiteBuff to send me to @CorkCleaver in celebration of number 500. You could win too at http://tinyurl.com/kntuo9d." Leave another comment on this blog post, with a link to your tweet. 3. "Like" my fan page on Facebook, and "like" Cork and Cleaver Social Kitchen too. Leave another comment on this blog post, telling me that you like both. You can enter the giveaway using one or more methods. I will select the winner using random.org on Friday, December 20th. Truly, thank you for reading and sharing in my experiences. This blog is such a source of fun and adventure for me, and I'm thrilled to have reached 500. Good luck! The building that once housed Juniper Grille and Verve on Carnegie Avenue in Downtown Cleveland has a new restaurant that calls it "home" now. HotSpot Café opened on Monday for breakfast and lunch service. "HotSpot" refers to the free WiFi service and many outlets provided for table-side charging while you dine. I was invited to attend their Friends and Family Soft Opening last Saturday, to try out the menu and provide feedback on the overall experience. They were only in day three of business at that point, but they were starting to get the hang of things and we only saw minor mishaps that will work themselves out shortly within opening for the public. Their menu includes clearly marked Vegan and Gluten-free items, much appreciated these days by diners with dietary restrictions. The breakfast options range from classic pancakes, eggs, and oatmeal to the more creative items like the Burrito Breakfast, interesting omelettes, corned beef hash, and Crème Brulee French Toast. The thing that caught my eye immediately were the bakery items. Scones, muffins, bagels, and a Croissant Donut. A Croissant Donut had to be mine ($2.25). Light, flaky, and sugary-sweet. It was something different, and delicious. Other pastries and bakery items, like cinnamon buns, are in the works. For breakfast, I ordered the Burrito Breakfast with scrambled eggs, avocado, tomato, and potatoes served in a warm tortilla with a side of salsa and sour cream ($7.95). Dining Deals Alert! Now, my original burrito had disappeared to another table, so they re-fired my dish and it arrived piping hot about five minutes later. Other diners at the table did have a couple of issues with their food not being hot enough, but we were a larger table and the plates may have been sitting while the kitchen completed the order. I'm sure that expediting will improve over time. Overall, I liked the burrito, and really enjoyed the addition of fresh avocado. It needed a little moisture and flavor from the salsa and sour cream, but the ratio of ingredients was good and I liked the preparation. My only complaint? The salsa could be kicked up a notch in quality. House-made salsa, or a better quality brand would improve this dish. Their lunch menu includes salads, burgers, many sandwiches, and a few "hot spots" or entrees. They will also be making two soups a day. The kitchen is run by CIA-trained chef William Davis, one of the brother-partners who ran Appetite in Lyndhurst before it closed last year. Again, the small issues that we saw with expediting and service should work themselves out over time. I think this restaurant will cater well to the Downtown crowd during the week. They will be open Monday through Saturday from 7am - 3pm. Disclosure: I was invited to attend a complimentary breakfast at the restaurant during their soft opening. All opinions stated are 100% my own. Please tell me how it is mid-December already? Time is just flying by, more so than usual. I swear, it was just December 1st. I have so much blog content to share with you, but I've been busy and feeling uninspired to sit down and write when I do have a moment. I have another Taco Tuesday to share with you, "R" and I knocked another restaurant off of my 2013 To Dine List, we've been cooking, and a new breakfast and lunch spot just opened in Downtown Cleveland that I want to share with you. "R" and I decorated for the holidays. On the hunt for ugly Christmas sweaters at some local thrift stores, I found some great home goods instead! 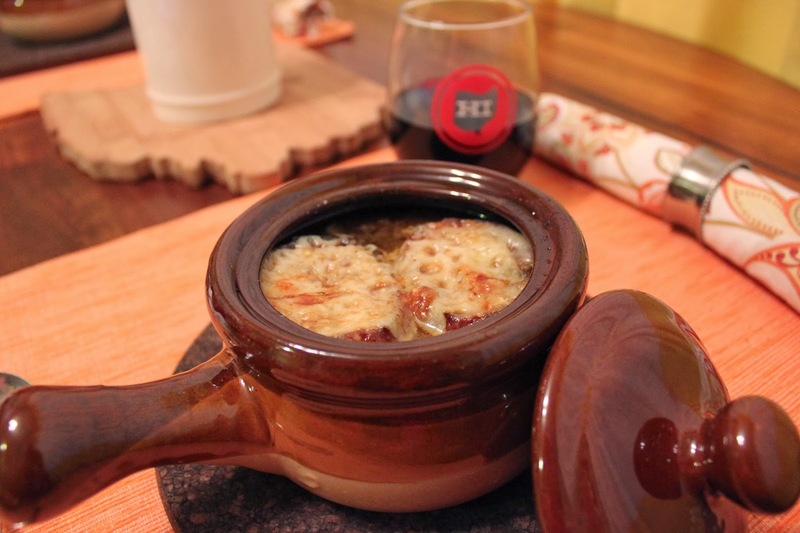 Including, some classic French Onion soup bowls. Which prompted us to find a recipe and whip some up that night. You never know what you'll find. I also picked up a great orange vase and a serving bowl. My Christmas surprise for "R" was ruined by very obvious packaging and UPS showing up at 7:30PM to deliver (there were tears), but...we did get to use his new Vitamix early. It was worth every penny. It came with a great recipe book, and within minutes of throwing in some vegetables, wine, and chicken broth, we had HOT soup, ready to serve. Magic. But, how come no one talks about how a Vitamix sounds like a jet engine? I thought the thing was going to explode. I also walked the A Christmas Story House 5k with the Liver Life Challenge team. It was absolutely freezing, but fun. The race medal and tee were totally worth it. We also attended a media preview of the Carnival Couture, hosted by The Republic of Artists, taking place this weekend. This Cleveland pop-up marketplace will feature designers, artisans, and other independent businesses for a three-day shopping experience. • Saturday, December 14th - 10 a.m. to 7 p.m.
• Sunday, December 15th - noon to 5 p.m. The Republic of Artists | Market at Miles Pointe | 4925 Pointe Parkway, Warrensville Hts. We had a great time walking around, and viewing of all the vendors' goods. 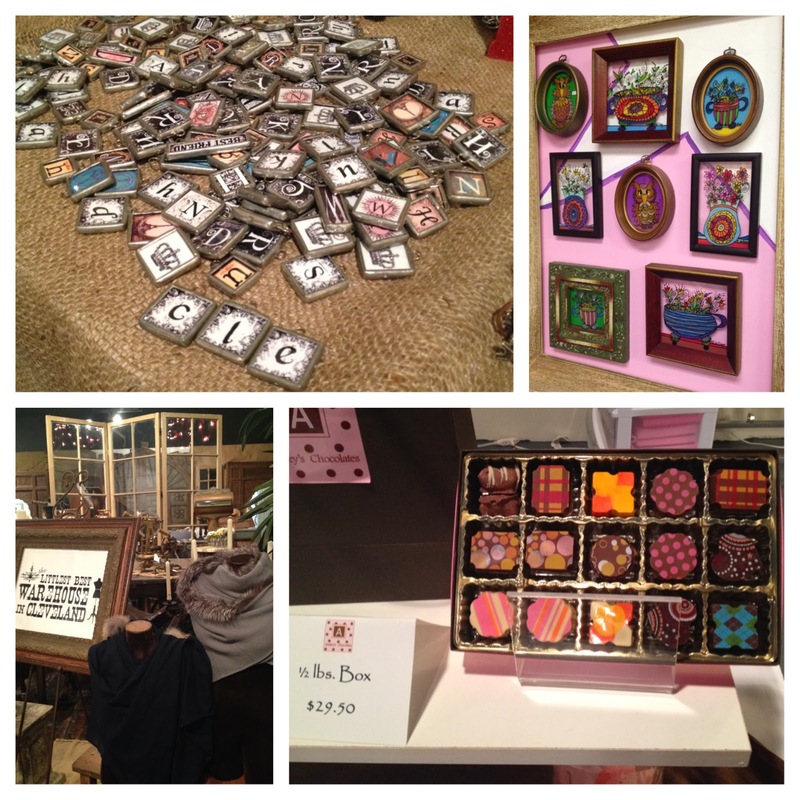 Art, clothing, accessories, home goods, sweet treats...something for everyone. We've still got our eye on a great Ohio metal piece for the kitchen. This event is a way to get some last-minute holiday shopping in, while supporting local businesses. Phew, I'm even tired just writing about everything that we've been up to. What's your December been like so far? I promise, more coming soon! Disclosure: I am an employee of the American Liver Foundation, and manage the Liver Life Challenge team. I was invited to the media preview of Carnival Couture and attended with a guest for free admission. Yes, the Taco Tuesday series is alive and well. Well, it's back, at least. Taken a hiatus from searching out Taco Tuesday specials, but now I've got two to share with you. First up, the newly opened Porco Lounge and Tiki Room on West 25th. Located in a dilapidated-looking brick building on Ohio City's West 25th Street, headed towards the zoo, it's really a diamond in the rough and a fun new addition to the area. Just walk quickly from your car, and hold your purse tightly. There is a small parking lot with free parking directly next to the building, with additional parking behind. Front and rear entrances transport you to a tropical oasis. Particularly pleasant in the cold days that we've settled in to in Cleveland this month! Festival, and iconic, tiki memorabilia and rescued wares decorate the dark and intimate bar. The owner's personal collection of stir sticks became the bar, and it provided us with some entertainment as we sipped on our cocktails. I enjoyed their take on a classic Hurricane, and "R" opted for the Pain Killer (Level 1). Put an umbrella and skewered fruit on any drink, and I'm usually happy. Thankfully, this one was also delicious, and it included a pinwheel on the straw. Never seen that before. Drinks are priced from around $8 - $25, but the quality is there. Not quite VTR or Society, but clearly a step up from typical. They are also serving up tacos from their tiny kitchen. At this point, it will be the only food offered, but they have plans to expand in the future. For Taco Tuesday, the deal was three tacos for $5 (tacos are offered every day, normally they are $7.50 for three). Dining Deals Alert! It included a chorizo, barbacoa, and carnitas. No substitutions, but they also have a platter of three black bean tacos available for vegetarians. The meats were all seasoned and prepared well, with the chorizo providing quite a kick. These were a step up from your average tacos, and we were pleasantly surprised. Personal preference, I would have liked flour tortillas over the corn ones included. However, they were tasty little tacos and a good deal. The meat offerings change slightly, depending on the week. Happy Hour is from 5-7PM, offering 50 cents off draft beers (very short, but quality list of craft beers), $1 off bottled beer, and $3 wine pours. They are also offering a special "Tiki Hour" from 6:30-7:00PM, where all tiki cocktails are $3 off. Just a half mile south of the West Side Market, this bar is a great spot to stop in for a drink after having dinner in Ohio City. After having their tacos, I also recommend it for Taco Tuesday. The staff is attentive, friendly, and dedicated to their craft. Sit down at the bar and watch your tiki cocktail be created. It's art. December, already? You know what that means. It's time to start making your suggestions for my 2014 To Dine List. Submit restaurants that you'd like to see me visit in 2014. I'll pick ten, and announce them one month from today. It's my version of a New Year's Resolution. Leave restaurant suggestions in the comments below. I'm looking for spots that don't get the public recognition that they deserve. Tell me about your favorite neighborhood joint, the restaurant that you've always wondered about but haven't tried yet, a great dish that you think I should try, a newly opened restaurant, or just send me on a dining adventure that you want to see on the blog. Are you still in a turkey coma? Looking for something other than Thanksgiving leftovers today? 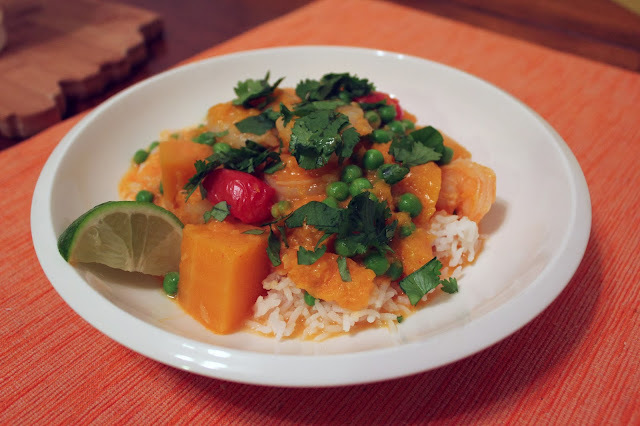 Here's a quick curry recipe that "R" and I enjoyed recently. Heat oil in a wok or large skillet over medium. Add shallots and curry paste; stir-fry 2 minutes. Combine coconut milk, broth, fish sauce, sugar, and zest; add to wok. Bring mixture to a boil; add squash. Reduce heat to medium-low; simmer mixture, covered, 10 minutes. Uncover wok and simmer until squash is tender, 10 minutes more. Add shrimp and tomatoes; simmer until shrimp turns pink, 2-3 minutes. Right before serving, stir in peas and lime juice; season with salt. Serve curry with rice and garnish with cilantro. This dish was bright and delicious. We added another squirt of fresh lime juice when plating. The only "thing" was that the sauce was thin and light, and didn't feel like a traditional curry to me. I just needed to get that concept out of my head, because we did enjoy the dish. It came from the December 2013 issue of Cuisine at Home magazine. 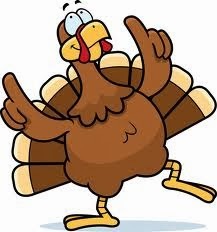 Happy Thanksgiving to all of my readers. 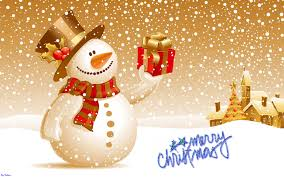 I hope that you are able to enjoy the day, and that it is filled with friends, family, food, and thanks. On Saturday, "R" and I went on a little breakfast adventure. Recently, several friends had proclaimed their love for Jack Frost Donuts. A bold statement was even made that their glazed cruller was better than the famous Krispy Kreme glazed donut. I was intrigued. Located on Pearl Road (near Brookpark Road), it's an easy place to miss. The small building is worn, the signage is beaten down, and we've probably driven past it no less than 100 times. A couple of cars can pull up in front of the building, and about a half dozen parking spots are located on the right side of the building. We stepped in and were greeted with warm, sweet smells. Luckily, there was a couple ahead of us and it appeared to be their first time there as well. It bought us some time, and we started to look through the donuts in the case. One note--- signs on the donuts would be helpful. I had no idea what I was looking at, most of the time. "Anytime is a great time for donuts." They clearly do a lot of turn over in the mornings, and once it was our turn to choose our donuts, the woman was pretty impatient with us. We were rushed, but ended up with a Glazed Cruller, Glazed Cake Donut, Boston Cream, and Salty Caramel. Sadly, we must have missed the Maple Bacon that everyone raves about. Next time, I'm on a mission! Tucked safely away in our donut box, we headed home to enjoy our treats. "R" did not love his two selections. He liked them, but wasn't wowed. I'm not a "cake" donut fan, and I was more than happy with my Boston cream and glazed cruller. I should have warmed the cruller a tad in the microwave, because I could certainly see its potential for being better than a Krispy Kreme. It was darn good, and I've kind of been craving one ever since. I'm not even a sweets fan, particularly in the mornings! So, that says something. This place has a cult-like following, and my picture of the donut box on Instagram got more likes and comments than any other photograph that I've posted. Anyone want to invite me over for brunch or a morning meeting? I'll bring Jack Frost Donuts! I don't like chicken. I overdid it as a teenager, when I wouldn't eat red meat or pork, and now I can't stand the texture and avoid it at all costs. Hide it cubed in a stir-fry, shred it up, batter it and fry it...and then maybe we can talk. So, "R" and I are always looking for chicken recipes that I'm willing to try. This one fit my criteria of "hiding" the chicken, and we both enjoyed it. Coat a small baking sheet with nonstick spray. Melt butter over medium-high heat in a sauté pan. Add chicken and sauté until beginning to brown, about 5 minutes. Stir in shallots and sauté until softened, 2 minutes. Sprinkle mixture with flour, cook 1 minute. Combine apple juice and broth; slowly add, stirring constantly to avoid clumping. Stir in cream, Parmesan, mustard, and thyme; simmer after each addition until sauce is thickened, about 5 minutes. Add broccoli; season with salt and cayenne. Hallow out loaves by cutting off tops and tearing out insides (remove as much bread as possible). Compress any remaining bread inside loaves to make room for filling. Toast loaves directly on oven rack, about 5 minutes, remove to prepared baking sheet. Arrange ham slices in bottom of each loaf. Using a slotted spoon, divide chicken mixture evenly between two loaves, reserving sauce in pan. Top the chicken with a slice of Swiss cheese and sprinkle with 1 tsp. of Parmesan. Bake casserole until cheese melts, 7-10 minutes. Serve each casserole with reserved cream sauce*. Our only advice is that maybe pre-baking the sourdough loaf should be left out. It became very crusty and was difficult to cut. Once the sauce soaked in, it was fine, but the initial cutting was tough to do. I think that it would crisp up enough with the 7-10 minutes it bakes with the chicken filling and cheese. This recipe came from the October 2010 issue of Cuisine at Home magazine. 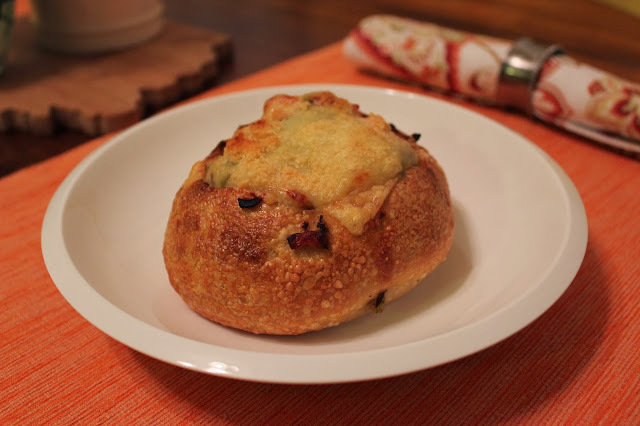 It had all of the great flavors of a classic chicken cordon bleu, and who doesn't love a bread bowl?! It also perfectly "hid" the chicken for me. I'm weird, I know. Have you been down to the east bank of The Flats recently? The revitalization is beginning, and some great new restaurants popped up there. On Friday, we enjoyed another memorable meal at Lago with friends. We also stopped in the WXYZ bar in the Aloft Hotel for an after-dinner drink. I kind of felt like I was in a club with the DJ, lighting, and lounge seating. But, it has amazing views of the river and our city's bridges, and I did enjoy my cocktail. Another addition to the area is Willeyville. The restaurant is led by Chef/Owner Chris Di Lisi, best known for his time spent at Baricelli Inn and Flour. He brought his talent, and vision of creating "handcrafted consumables" to The Flats. I've now dined there twice---once for dinner, and a recent lunch outing with a friend. Our dinner left a good impression. I enjoyed the Beet Salad with fennel, apple, and whipped ricotta ($12.50), and the Pork Belly Ramen ($15). Why are udon noodles so hard for me to gracefully eat? Anyone else have this problem? The only dish that didn't stand out was the Calamari. Looking at their current menu online, the preparation has already changed. One of our dining mates ordered the pumpkin soup that was on the menu at the time, and it arrived inside of a small pumpkin. Talk about presentation! ...and the Willey Wedgie with iceberg lettuce, bacon, hard boiled egg, smoked buttermilk bleu cheese, onion straws, ranch, and herbs ($10). I do wish that the bacon had arrived crumbled, but overall I really loved this salad. The "ranch" dressing is like nothing that I've ever had. The addition of herbs to the dressing totally changes the flavor of traditional ranch, and I personally wanted a bottle of it. While we had enjoyed our dinner experience, I think that I left lunch even more pleased. With a changing and seasonal menu, hand-crafted cocktails, decent beer and wine list, and many house-made items, it's a nice addition to the Downtown Cleveland dining scene. I wish that the patio had a slightly better view, but a visionary can picture what The Flats will hopefully look like in the years to come. Lot or valet parking are available for a fee. They are also offering a "Browns Brunch" that looks appealing from 10AM - 2PM during home games. Happy Hour from 5 - 6:30PM Monday - Friday, and a Bar Menu is available between lunch and dinner service during the week. One of my favorite things to do on a Sunday is to do our grocery shopping for the week, and then throw something in the slow cooker. The smells that fill the house the rest of the day are worth the wait. Recently, "R" and I attempted a Classic Beef Stew. 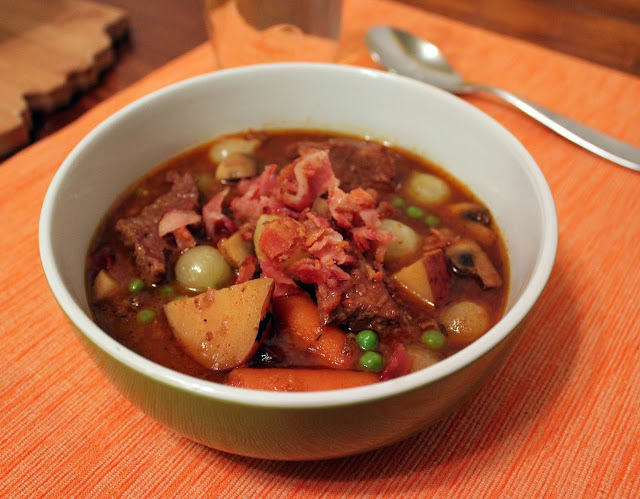 I grew up on my dad's beef stew, and it still remains one of my favorite dishes to request when I'm visiting my family. So, this recipe had a lot to live up to. Luckily, this version was totally different than my dad's, but was also very good and satisfied my craving. This recipe came from the October 2012 issue of Cuisine at Home magazine. Cook bacon in a skillet over medium heat until crisp. Drain bacon on a paper-towel lined plate, reserve the drippings. 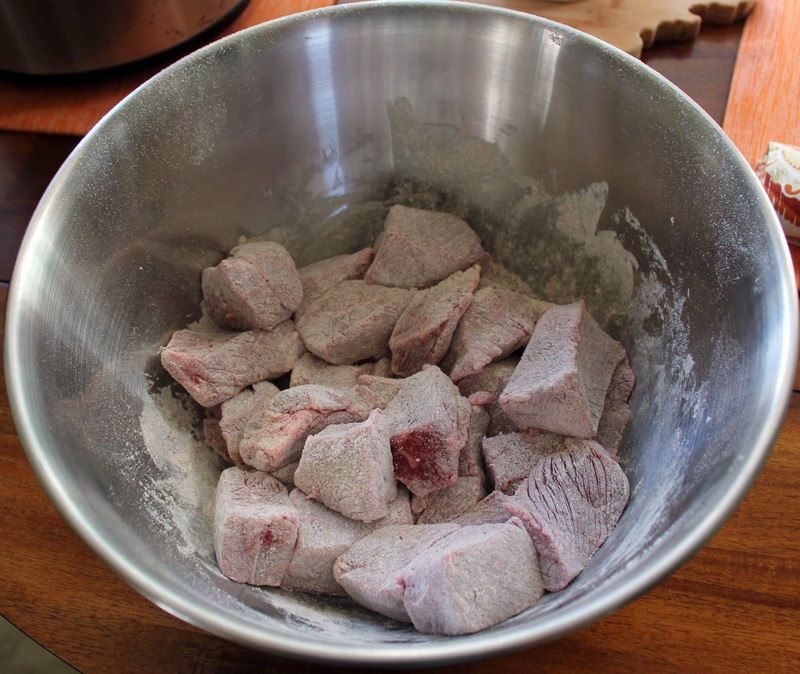 Combine flour, salt, paprika, thyme, black pepper, and cayenne in a bowl; add beef and toss to coat. Heat 1 Tbsp. drippings in same skillet over medium heat. Sear half of the beef until brown (3 minutes per side). Repeat with 1 Tbsp. drippings and remaining beef. Transfer to a 4-6 quart slow cooker. Add any remaining flour mixture to the slow cooker, top with potatoes, carrots, celery, and bay leaves. Stir tomato paste, garlic, and beef base into the skillet and cook over medium heat (1 minute). Combine broth, vegetable juice, and Worcestershire and stir into skillet, scraping up bits from the bottom. Bring to a simmer over medium-high heat and cook until thick (2-3 minutes). Pour broth mixture over beef in slow cooker. 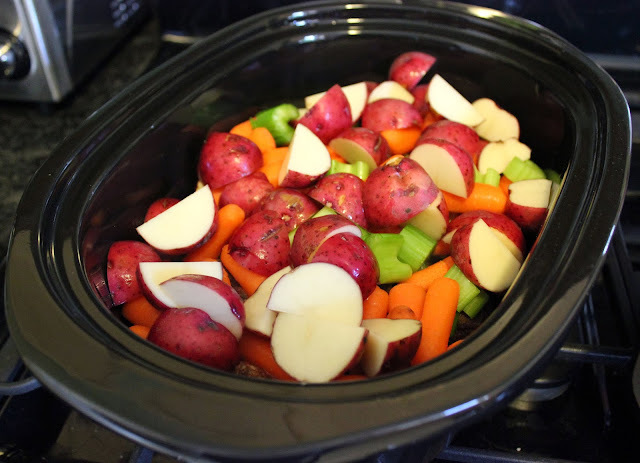 Cover slow cooker and cook until beef is fork-tender on high setting (3-4 hours) or low setting (6-7 hours). Add peas, pearl onions, and vinegar to stew. Garnish servings with parsley and bacon. One note--- the recipe doesn't list cutting the baby carrots, but I would suggest it after our experience. The quartered potatoes and whole baby carrots took much longer to cook than stated in the recipe. We had it on high, and it took about 5 hours. We also added mushrooms, because we are always trying to find ways to add more vegetables to any dish. Enjoy! This is perfect for a fall weather day. It's suddenly November, and it's that time of year when I take a glance at my annual "To Dine" list to see what I have left to accomplish before the start of the new year. For 2013, I was left with four restaurants to tackle by the end of next month. Time to get crackin'. Luckily, I have a troop of friends who are always up for helping me cross one off of the list. This led us to a last-minute trip to Sterle's Country House on Saturday evening. Between three days of work travel and five days of early mornings last week, I was exhausted. I just wanted to crawl inside of a cozy sweater, fill my belly with comfort food, and spend quiet relaxing time with friends. That is exactly what we did, and it was perfection. I immediately fell in love with Sterle's from the moment that we were seated. We had dropped the average age in the room by at least a decade, the smells coming from the kitchen were heavenly, and the live polka band had us clapping our hands and moving in our seats. The best way to sample their menu is to select the Family Style Meal (for at least two people, and no more than one Family Style is allowed at a table). With this option, you select three of the entrées, one side dish, and it also comes with a house salad, steamed vegetable, coffee or soft drink, and dessert. "R" and I wanted to try the Wienerschnitzel, Pierogies, and Chicken Paprikash. We selected the dumplings as our side, to be paired with the paprikash. A half portion is pictured. When sharing the Family Style between two people, they go ahead and spilt the platter for you (which was great!). No fighting over schnitzel. Sokolowski's will still reign supreme for the pierogies, but the schntizel and paprikash were better at Sterle's (in my opinion). The cafeteria-style of Sokolowski's is fun and an experience, but the fact that the food sits out can hurt the quality at times. The Family Style is $20 a person, and it includes a ton of food. Bread, individual salads, and dessert were also included. We were still fighting off a food coma hours later. It's hearty, filling, and sticks with you. The individual entrees are in the $15 - $18 range, making this restaurant quite a deal. For example, the individual entrée of Wienerschnitzel includes a house salad, choice of potato as a side, and THREE good-sized pieces of schnitzel for just $18. Free parking is in the large lot next to the restaurant. It's so big that the Cleveland Flea has been held there. The restaurant also has a private event space, and a large bier garden. I'd love to go back on a (warmer) Sunday for their Bloody Mary bar, and to sit in their outdoor bier garden. This spot just made it on to our list of restaurants that requires a visit at least a couple of times a year. "R" and I both love Thai food, and this recipe peaked our interest right away. Prepare rice noodles according to package directions; drain, rinse in cold water, and drain again. Whisk together fish sauce, vinegar, 1 Tbsp. sugar, soy sauce, and chili garlic sauce; set aside. 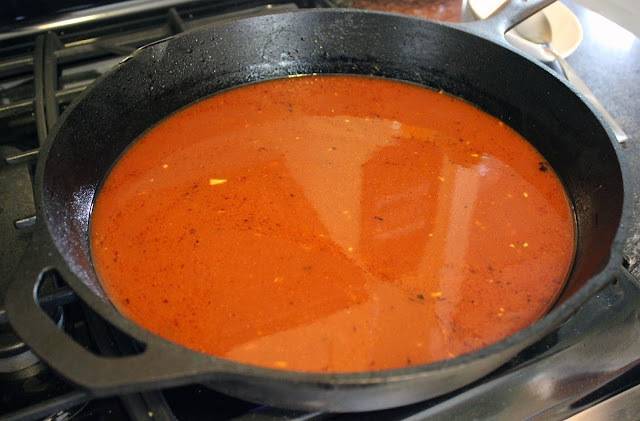 Heat oil in a wok or large skillet over high. Add garlic and Serrano; stir-fry until fragrant (30 seconds). Add pork and cook until brown, 2 minutes per side. Add fish sauce mixture and stir-fry until sauce bubbles and thickens (about one minute). 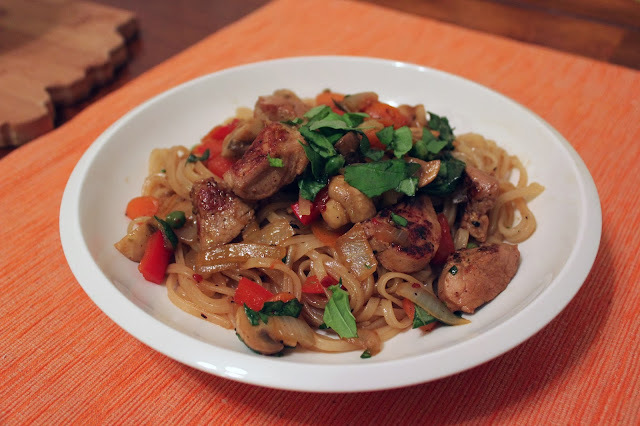 Stir in onions, bell pepper, mushrooms, and carrot; stir-fry to soften slightly (2-3 minutes). Add the rice noodles and gently stir until they absorb the sauce (1-2 minutes). Add most of the basil and toss gently to wilt. Garnish servings with remaining basil. This recipe came from the December 2013 issue of Cuisine at Home magazine. It was a winner in our household, and the leftovers were just as good! We couldn't find wide rice noodles, but the Pad Thai rice noodles that we found at Giant Eagle worked just fine. We also added some peas for more color and to bulk up on vegetables. We'll be making this one again. Enjoy! Thank you to everyone that entered my ticket giveaway for this year's Fabulous Food Show! 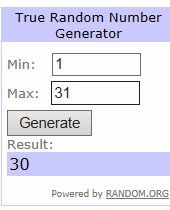 Using random.org, the lucky winner is comment #30- Frank Theiss. Congratulations, Frank. Contact me by Tuesday to claim your two general admission tickets, or another winner will be selected. Didn't win? Tickets are available here. Also, keep your eyes peeled for ticket giveaways on other local blogs. Jen from Why CLE? just announced her giveaway today. This annual event is a fun way to spend a weekend, so I really do suggest checking it out. I always find some new-to-me-products, enjoy the cooking demos, and stalk see some celebrity chefs around the IX Center. It's all happening November 8th - 10th. Disclosure: I was provided with four passes to the 2013 Fabulous Food Show in exchange for the one giveaway post. All opinions states are 100% my own. On Sunday, November 3rd, the Chagrin Valley Council of Churches is sponsoring its third “Dinner and a Movie” event at the Chagrin Cinemas (8200 E. Washington Street, Chagrin Falls) from 4-7 p.m. to raise funds for the Cleveland Foodbank. The cost is $25 for adults and $10 for children under 12. Each ticket includes one free beverage, dinner and a movie ticket for any show before or after dinner (excluding 3D). For movie times and listings, go to clevelandcinemas.com. To purchase tickets, go to the Cleveland Foodbank website at clevelandfoodbank.org. Tickets are also available at the door. Participating restaurants include: Raintree, Cosentino’s, Joey’s, Rick’s Café, Yours Truly, Washington Street Diner, Burntwood Tavern, Hunan by the Falls, Mazzullo’s, Raised and Glazed and more. This year’s event is particularly important for two reasons. First, funds for Food Stamps will be cut by as much as $40 per month for greater Clevelanders living in poverty on November 1. Though it may not seem like a lot to most of us, for families living paycheck to paycheck--- it is a struggle. Second, the Cleveland Foodbank has received a generous matching challenge grant for up to $10,000 raised at this event. This means that if they are able to raise $10,000, then they have a donor willing to match it dollar for dollar. This could mean a $20,000 donation to the Foodbank at a time when these funds are desperately needed. You can help by purchasing a ticket to the event or by making a direct donation. You can donate online at the Cleveland Foodbank’s website or by sending a check to Mindful Mondays c/o the Cleveland Foodbank (15500 South Waterloo Road, Cleveland, Ohio 44110). Disclosure: I am a member of the YP Pantry Council, and a former employee of the Foodbank. I was asked to post about this fundraiser, but would have helped to spread the word regardless of my affiliation. Last week's @CLEDinnerClub outing was a slap-in-the-face reminder that I need to make a return visit to Cowell & Hubbard immediately. It's no secret that I'm a fan of basically anything that Chef Zack Bruell does, but the meal that we had at Cowell & Hubbard on Tuesday was a great representation of the high quality food that Bruell's staff consistently puts out. We started with a heavenly Hominy Stew. 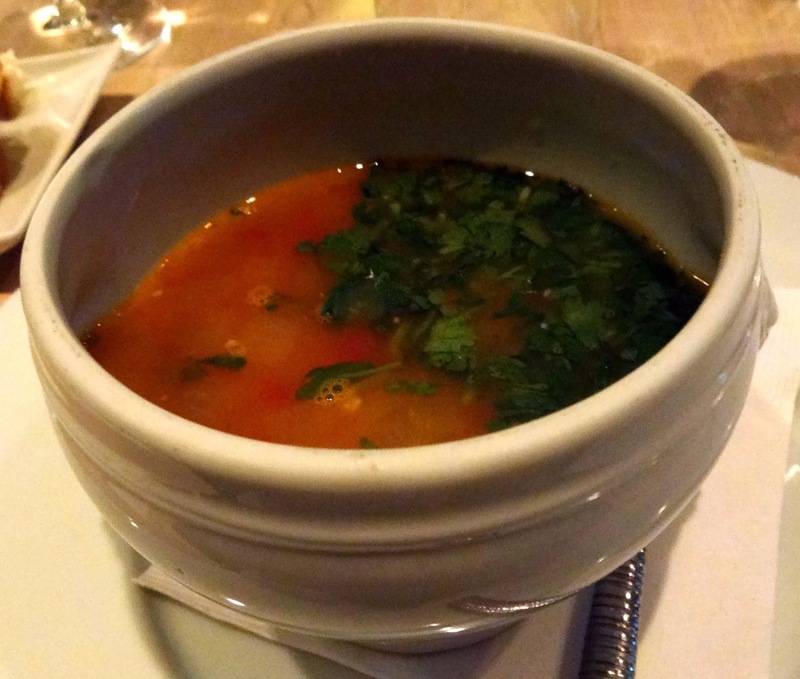 With hominy, tomatoes, chicken, and cilantro--- this soup had us all scraping our bowls and whining for more. The second course just wasn't for me--- Salmon Rittettes. No matter how much I try to force myself to like it, salmon isn't my thing. Sometimes (rarely), salmon dishes can be mild enough for me to enjoy them. This particular salmon fell into the "too fishy" category for me, but others loved it. However, I did respect their craftsmanship in the cauliflower cous cous. The texture was so spot-on that it had us all fooled into thinking that it was true cous cous. The last savory course was Braised Beef Shoulder with collard greens and fingerling potatoes. Again, this dish was simply perfection on a plate. Tender meat, wonderful flavors, and I just love good collard greens. I want more. The last course was the only one that hit a sour note for some of us. We had two options, and I had selected the Flourless Chocolate Cake. 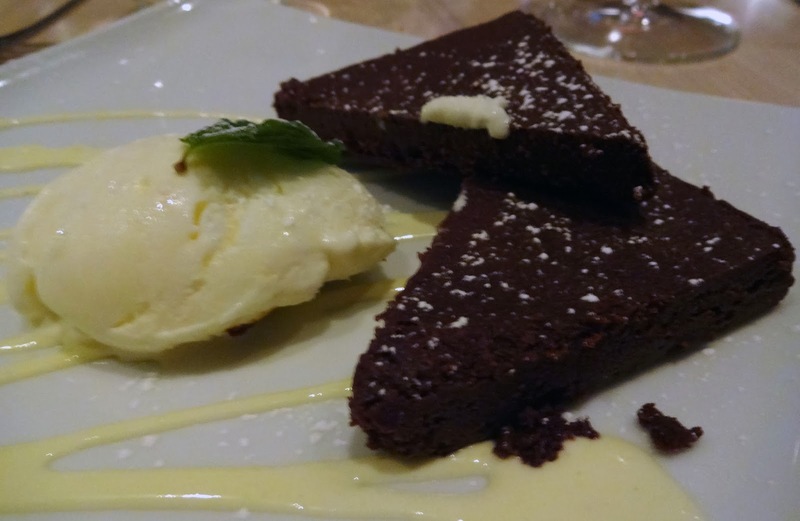 The cake itself was everything that you'd expect from a flourless chocolate cake--- dense, moist, chocolaty, and enjoyable. However, it was paired with an orange ice cream that I wasn't a fan of. It had a floral aftertaste that lingered on your tongue. It was reminiscent of these medicinal orange throat lozenges that my mom used to give us when we were little. Several others at the table likened it to "medicine" so we mostly left it behind on the plate. Sometimes, not everything that Mitchell's does works. Now, not everyone felt this way, and all seemed to enjoy the other dessert option--- Apple Tart. Apparently, all of these dishes were a preview of the new seasonal menu. Hallelujah! I want more hominy stew and beef shoulder, immediately. Looks like it won't take me as long to get back to Cowell & Hubbard this time. My only complaint about the restaurant? The menu is too lengthy, and it's hard for a diner to navigate. Too many tempting options leaves me confused and second-guessing any choices. I'd rather have the menu rotate often, and feature less items. As usual, this four-course meal was $40. 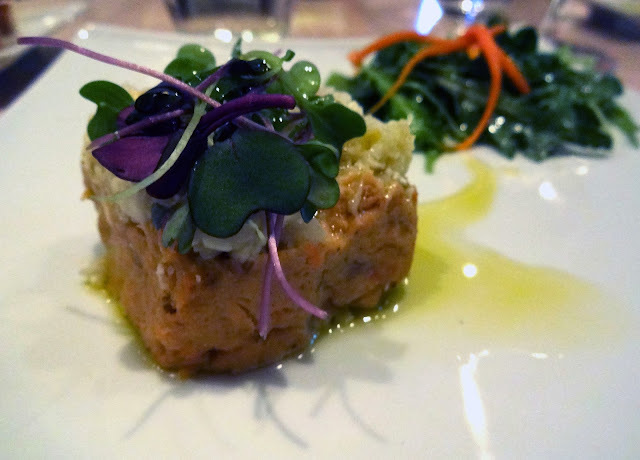 If you haven't joined the @CLEDinnerClub for an event yet, what are you waiting for? The food, exploration of area restaurants, and the company always make for a good time. I look forward to attending each month. I rarely miss one! Hats off to the group's coordinator, Joe G., and the staff at Cowell & Hubbard for another memorable one. This one certainly ranks in the top five outings. I like to start Mondays off with a bang, so let's kick off this week with a fun ticket giveaway. 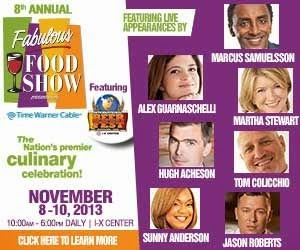 The annual Fabulous Food Show is just around the corner, and this year's lineup of celebrity chefs is pretty exciting. For the Bravo fans out there: Tom Colicchio, Marcus Samuelsson, and Hugh Acheson will all be in Cleveland this year. And, wait for it...MARTHA STEWART! Just to name a few. The event takes place at the IX Center, featuring more than 450 exhibitors and 100 live demonstrations. It is open from 10AM - 6PM daily, from November 8th - 10th. This year, the event is also partnering with the International Beer Fest. Foodie and craft beer lovers unite under one roof! Check out both event websites for more information on passes and demonstration times. Personally, I always love attending the Fabulous Food Show. Browsing the vendors always brings new products home with us, and I try and catch at least one chef demonstration. Some of our local chefs are highlighted as well, and they do a great job. Stick around, and you'll get to sample whatever they are cooking up. The event is family-friendly, parking is available for a fee in the IX Center parking lots, and it's a great way to spend a weekend day. This year, adults can sample wine, spirits, and craft beer with the addition of the International Beer Fest. It might lead me to purchase more on the exhibitor floor! There are single day, and three-day passes available. A General Admission ticket is $25. Tickets to the General Admission International Beer Fest Grand Tasting (Saturday 7:30PM - 10:00PM) are separate, and are $45 each. Additional ticket packages are available for both events. Or, you can win two General Admission tickets to the Fabulous Food Show by commenting on this blog post! Just leave me a comment below, telling me which of the participating celebrity chefs you'd want to go watch. Tom, I'm coming for you! I will select a winner, using random.org, on Friday, November 1st. Good luck! Disclosure: The Fabulous Food Show has provided me with four tickets to the 2013 event. Two to be used in a random giveaway, and two media passes. All opinions stated are 100% my own. Thank you to the IX Center and Fabulous Food Show for the opportunity. Is everyone enjoying Cleveland Beer Week? "R" and I popped in to Society Lounge on East 4th last night after dinner, and they have some delicious beer cocktails cooked up there. The Dreadnought is like an adult chocolate milk. I kicked off Beer Week on Friday by traveling over to the east side for the Collaboration Kickoff at Cedar/Lee. Michelle and I decided that we needed some food in our bellies before we started our progressive beer tasting, so we selected Lopez Southwest Kitchen and Tequila Saloon. Often referred to as "Lopez on Lee", it is located right in the heart of the Cedar/Lee restaurants and businesses. They have a small parking lot next to the restaurant, with valet service. We decided to start with some of the Iron Chef Guacamole with bleu cheese, house bacon, and sage ($9.50). A "Food Network favorite", this guacamole reminded me of Momocho's. I liked how it was served with pickled vegetables. My only complaint? The special ingredients were used only as a topping, so they weren't mixed in and the flavors were isolated to just a few bites. Momocho does do a better job of infusing the unique ingredients into the guacamole. I also started off our meal with a cucumber margarita ($9). Again, Momocho's version is much better. This was a good margarita, but it just tasted like a classic version. I should have tried one of the more unusual types available. Our server suggested the blood orange. The menu was very tempting, and as soon as I felt like I had settled on something, then another item would jump out at me. I finally went with my gut and ordered two tacos. I ordered the Butter Poached Lobster with guacamole, smoked tomato, and house bacon ($10), and the Mole Dusted Rare Seared Tuna taco with mango habanero salsa, radish, and crema ($7.50). Look at all of that lobster! My only complaint of the two? The smoked tomato in the lobster taco were actually whole cherry tomatoes. That was unappealing to me, so I picked them out. Otherwise, both tacos were fabulous! I'd order them both again. Then again, maybe not, because so many others sounded just as appetizing. I also loved how Michelle's burrito was grilled, and I'd like to try one. Or an enchilada, or...you get the point. The food can feel a bit overpriced for "Mexican", but overall it was very good and felt like they were using quality ingredients. I walked away full, and satisfied with my meal. Then we headed out for a progressive beer tasting around several bars in the Cedar/Lee area. I was a bit letdown with the collaboration beers overall. Many of them just weren't my style, but the Pancake Porter was my biggest disappointment. I really didn't pick up any of the "maple, coffee, etc." listed in the description. I had expected it to be bolder and sweeter than it was. Ah, oh well. We had a great time walking around on a nice chilly evening. The neighborhood was packed, and the excitement for the start of Beer Week was intoxicating. Oh, wait, was that the beer? Ha. What have you been doing during Beer Week?